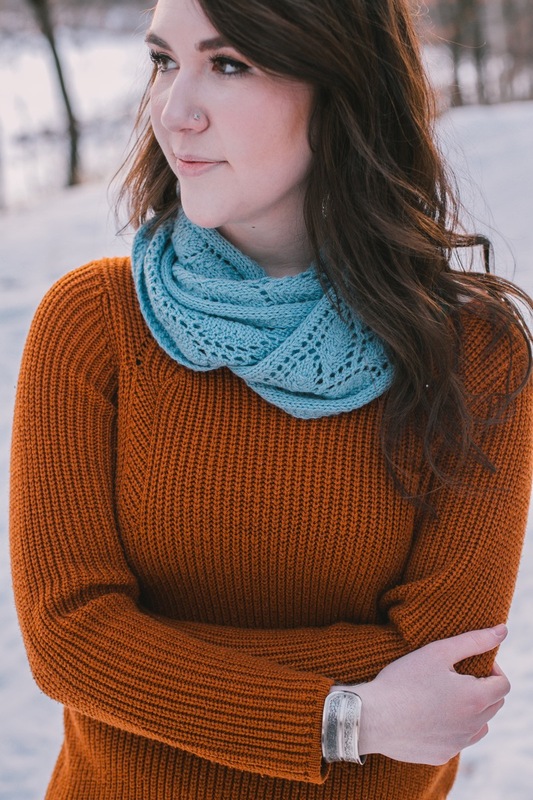 Using the same beautiful Estonian stitch pattern as our Vineyard poncho, the Vineyard cowl takes a single skein of Harmony to complete a generously sized project. The finished project is long enough to wrap double around your neck for a snuggly winter accessory. If you prefer, a single skein can also make a smaller neck-warmer style cowl and a pair of the matching Vineyard fingerless mitts. Yarn: 1 skein Reywa Fibers’ Harmony 50% Tibetan yak down, 50% wool.